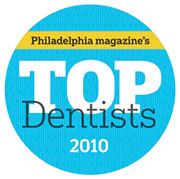 Dr. Lambert’s staff is wonderful, the facility is impeccably neat, and scheduling the appointment was easy. I really appreciated how Dr. Lambert explained everything to me so I could relax. If I had any idea how excellent this experience would have been I wouldn’t have waited a year to get it done. I would highly recommend Dr. Lambert to anyone. I can’t say enough great things. Thanks so much for everything. It has been 2 weeks and I am pain free! You guys are awesome. Thank you Blair for being so helpful and understanding when I called. You gave me an estimate of my cost which is something another local practice would not. My appointment was scheduled quickly and the office staff couldn't have been more pleasant. Dr Lambert explained the procedure and it was painless. You will certainly have my recommendation in the future. I am so glad that my dentist recommended me to Dr. Lambert for my root canal. I have EXTREME anxiety every time I go to the dentist for even a regular filling, so imagine the panic that set it when I found out I had to have a root canal... and by someone I had never been a patient to before. All I can say is - Dr. Lambert is wonderful. My root canal was 99% pain free. It took two appointments. The first about an hour and a half, the second about forty five minutes. All of his staff was great as well. If you have heard horror stories about root canals and end up having one done by Dr. Lambert, you will probably end up just like I did and say to yourself as you’re walking out of the office, “uhhhh, people said these are supposed to be super painful?” THANK YOU, DR. LAMBERT, FOR BEING SO GREAT AT WHAT YOU DO!! Dr. Lambert did an apicoectomy procedure for me for a tooth that had a previous root canal and crown. This extensive procedure involved microsurgery and required an extremely skilled and experienced practitioner. Dr. Lambert was all of that and more. Perfect outcome! He and his staff are consummate and caring professionals and he even followed up with a phone call to check on my progress after I was at home. Do not bother going any further for the best endodontic care available. So glad my dentist recommended Dr. Lambert for my latest root canal. Past experiences were horrible. Thanks to Dr. Lambert this root canal was virtually pain free. The entire staff was very accommodating, caring and pleasant. I would recommend Lambert Endodontics to anyone. Thanks Dr. Lambert and staff!!!! Yes, for most root canal treatments, we recommend that patients return to the office 1 year after the procedure was finished. Our office will send a reminder notice to you when you are due for a follow-up appointment.